Sunita Williams, an Indian-American NASA astronaut and flight engineer on the 32nd expedition to the International Space Station, completed an epic, 6 hour and 28 minute spacewalk on Sept. 5. She and astronaut Aki Hoshide of the Japan Aerospace Exploration Agency made repairs to the ISS and installed equipment, including a power-switching box and a new camera on the station's robotic arm. Early in the walk, Williams and Hoshide used a toothbrush as a bolt cleaning device to sweep away metal shavings that had prevented previous installation of the power-switching box. The ISS has four such devices that relay electricity from its eight solar wings. With this recent outing, Williams became the record holder for most cumulative spacewalk time by a female astronaut, surpassing fellow NASA astronaut Peggy Whitson. Aki Hoshide ISS032-E-025231 (5 Sept. 2012) --- Japan Aerospace Exploration Agency astronaut Aki Hoshide, Expedition 32 flight engineer, participates in the mission's third session of extravehicular activity (EVA). 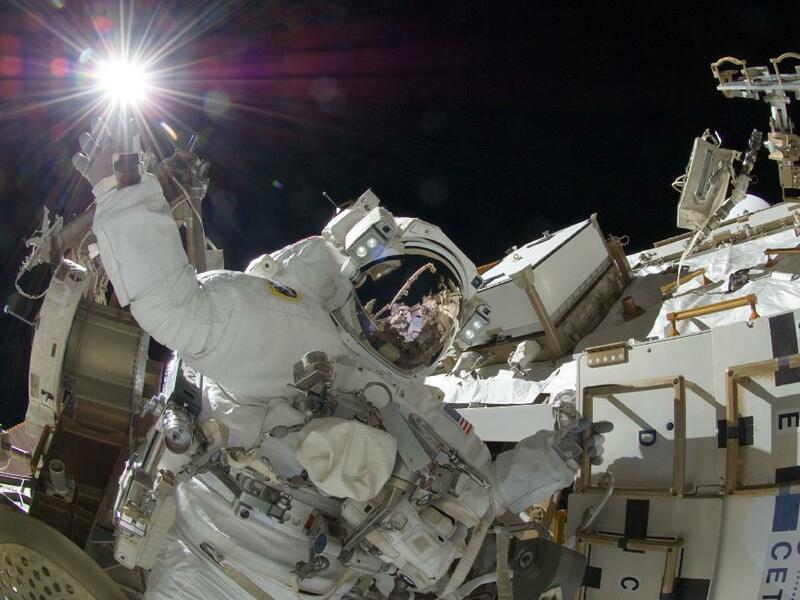 During the six-hour, 28-minute spacewalk, Hoshide and NASA astronaut Sunita Williams (out of frame), flight engineer, completed the installation of a Main Bus Switching Unit (MBSU) that was hampered last week by a possible misalignment and damaged threads where a bolt must be placed. They also installed a camera on the International Space Station's robotic arm, Canadarm2.